The European tour moves to the Doha Golf Club in the UAE for the Commercial bank Qatar Masters. Doha Golf Club was designed by Peter Harradine and opened for play in 1997, measuring 7374-yard. It incorporates eight strategically positioned lakes, which have been stocked with a variety of fish. 65 giant cacti were imported from the Arizona desert, add 300 palm trees, 10 000 trees, 5,000 shrubs, limestone rock formations and like a lot of the courses in the UEA it offers a beautiful juxtaposed position of beautiful lush fairways to the desert that lies beyond. The eight artificial lakes weave their way along most of the holes and with the punishing rough, which is made up of desert sand, rocks, trees, shrubs, long grass and clever bunkering, makes accuracy a must, on a course that offers plenty of risk and reward shots. 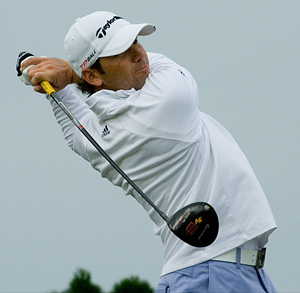 Sergio Garcia 14/1 had a steady if uneventful tournament in the HSBC Golf Championship last week, two 69s and 71s helped him finish in equal twelfth place, one shot off making the Top 10. I can see him pushing on from there this week. 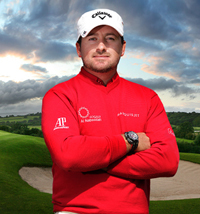 Graeme McDowell 16/1 grew into the tournament last week after his opening round of 72 he followed up with a 69 then to rounds of 68 to take joint third place. Last year wasn’t a great year for the Ulsterman, but I think that was due to the pressure of being US Open Champion and the commitments that go with it. 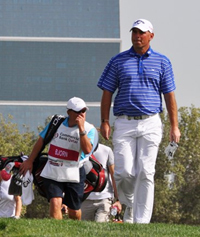 I believe you will see the real GMac stepping forward this year. It looks like Thomas Bjorn 25/1 has been to the fountain of youth, three wins last year, one of titles he defends here this week and two Top 20 finishes already this season, sees the 41 year old from Gothenburg in great form. Look for him to make a strong defence. If you have been following my betting guide for some time, you know I have been a regular tipper of George Coetzee 33/1 at the back end of last season. We have done very well off the back of some of the South Africans six Top 5 finishes last season. 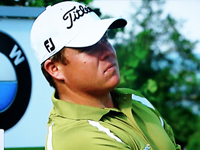 He has made the Top 15 in his last two tournaments and is due a good shot at a win this week. It seems only a matter of time before Nicolas Colsaerts 40/1 puts four good rounds together. Nicolas shot himself in the foot with his second round 76 at the Volvo Golf Champions, then another 75 second round at last weeks HSBC Golf Championship. I think this could be the week that sees the Belgian put four good rounds together. I know this is Peter Uihlein 175/1 first professional event on the main European Tour (he played in India last week in a Challenge Tour event), but the American has an outstanding amateur record winning the US Amateur Championship and representing the US on two Walker Cup teams. His management company feel he will gain more experience on the European Tour and these are great odds on the lad from Massachusetts.